It's been a couple years since the Fukushima disaster but the ruins are still smoldering and the negative health consequences are more pronounced than ever. 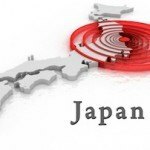 The somewhat indifferent response from many governmental health agencies around the world to the Fukushima disaster was perhaps more shocking than the disaster itself. Authorities around the globe assured us not to worry, claiming any radiation that had come into contact with citizens was well below the detectable and harmful level. The message is clear, everyday citizens can longer rely on their government for protection. What other problems have sprung up since the nuclear disaster in Fukushima? Pregnant women are at a higher risk for developing issues related to iodine deficiency when exposed to iodine 131, an issue that can slow thyroid and hormone function. Iodine deficiency in pregnant women can cause miscarriage, stillbirths, and other complications. As the years continue to pass following the Fukushima disaster, Japanese officials still claim ignorance of the possible effects radiation has on pregnant women and their unborn children. During a radiological event, protecting the health of children (the most susceptible population group) becomes a foremost issue. To date, 44 Japanese children under the age of 18 living near Fukushima’s nuclear plant at the time of the disaster have developed thyroid cancer, a significant increase compared to cancer incidences prior to the event. What Can Be Done During a Nuclear Event? Any type of nuclear emergency requires immediate action in an effort to protect citizens. Government authorities will typically administer high doses of potassium iodide to those affected in an effort to block thyroid absorption of iodine 131. While this traditional protocol may help, the results show the need for better, more effective protective options. When it comes to protecting yourself and your family, you ultimately have to rely on your own efforts rather than those exercised from official members of the government. Although potassium iodide has been traditionally used to block the absorption of iodine 131 in the thyroid, it is not the most efficient form of iodine for the human body. Nascent iodine offers a more bioavailable option with a higher rate of absorption. 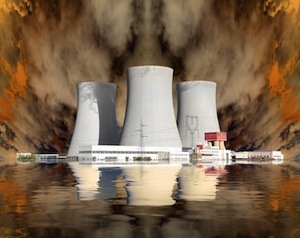 Detoxification may also be helpful for removing impurities and toxic metals that may accumulate during a nuclear event. What are your favorite ways to protect yourself from overseas radiation? Let us know in the comments! Global Research News. 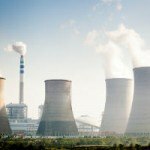 Civilian Cancer Deaths Expected to Skyrocket Following Radiological Incidents.Public Employees for Environmental Responsibility (PEER). Tazrart A, Bérard P, Leiterer A, Ménétrier F. Decontamination of radionuclides from skin: an overview. Health Phys. 2013 Aug;105(2):201-7. doi: 10.1097/HP.0b013e318290c5a9. Asfandyar Khan Niazi and Shaharyar Khan Niazi. Endocrine effects of Fukushima: Radiation-induced endocrinopathy. Indian Journal of Endocrinology and Metabolism. 2011 April-June; 15(2): 91-95. Hayashi K, Tomita N. Lessons learned from the Great East Japan Earthquake: impact on child and adolescent health. Asia Pac J Public Health. 2012 Jul;24(4):681-8. doi: 10.1177/1010539512453255. Boice JD Jr. 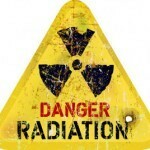 Radiation epidemiology: a perspective on Fukushima. J Radiol Prot. 2012 Mar;32(1):N33-40. doi: 10.1088/0952-4746/32/1/N33. Spallek L, Krille L, Reiners C, Schneider R, Yamashita S, Zeeb H. Adverse effects of iodine thyroid blocking: a systematic review. Radiat Prot Dosimetry. 2012 Jul;150(3):267-77. doi: 10.1093/rpd/ncr400. Dilas LT, Bajkin I, Icin T, Paro JN, Zavisi BK. Iodine and thyroid gland with or without nuclear catastrophe. Med Pregl. 2012 Nov-Dec;65(11-12):489-95. Evangeliou N1, Balkanski Y2, Cozic A2, Møller AP3. Global and local cancer risks after the Fukushima Nuclear Power Plant accident as seen from Chernobyl: A modeling study for radiocaesium (134Cs &137Cs). Environ Int. 2013 Dec 19;64C:17-27. doi: 10.1016/j.envint.2013.11.020. Joseph J. Mangano, Janette D. Sherman. Elevated airborne beta levels in Pacific/West Coast US States and trends in hypothyroidism among newborns after the Fukushima nuclear meltdown. Open Journal of Pediatrics, 2013, 3, 1-9 OJPed. 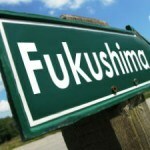 Fushiki S. Radiation hazards in children - lessons from Chernobyl, Three Mile Island and Fukushima. Brain Dev. 2013 Mar;35(3):220-7. doi: 10.1016/j.braindev.2012.09.004. Reiners C, Schneider R. Potassium iodide (KI) to block the thyroid from exposure to I-131: current questions and answers to be discussed. Radiat Environ Biophys. 2013 May;52(2):189-93. doi: 10.1007/s00411-013-0462-0.